And let me tell you all- they were amazing. It was like having dessert for breakfast... and then later on that same day, breakfast for dessert. Meanwhile in a large bowl, whisk together the cake mix, flour, and salt. Add in the yeast/water mixture & the vanilla and mix well. Spray two 8-9 inch cake pans with cooking spray. Set aside. 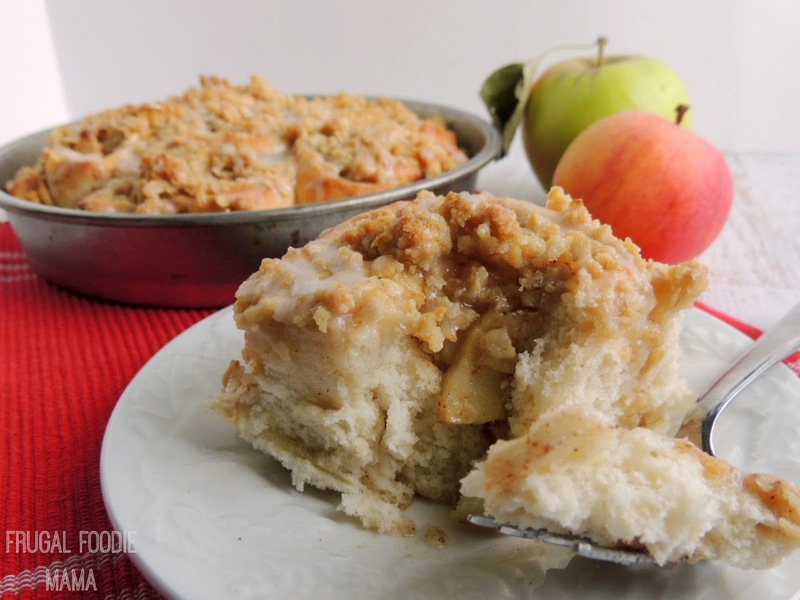 In small a bowl, whisk together the brown sugar, cinnamon, melted butter, and diced apples for the filling. Set aside. 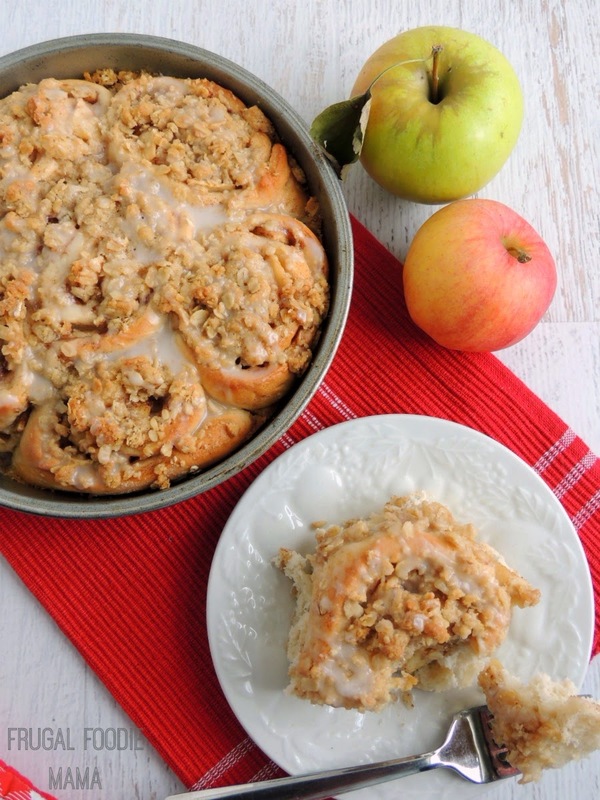 Spread the apple filling evenly over the rectangle of dough. Starting with the bottom of the rectangle, roll the dough lengthwise into one long roll. Cut into 12 even slices. Place swirl side up, 6 to a pan in the prepared pans. Cover with the cloth and set on top of the warm stove. While the rolls are rising, prepare the crisp topping. In a small bowl, whisk together the oats, 1/4 cup brown sugar, 1/4 cup flour, and salt. Using a pastry cutter or your hands, work the chilled butter cubes into the oats mixture until it is pebbly. Once they have risen for the third time, sprinkle both pans of the rolls evenly with the oats/butter mixture. Bake for 20-25 minutes or until the edges and the crisp topping are golden brown. Drizzle over the baked sweet rolls. 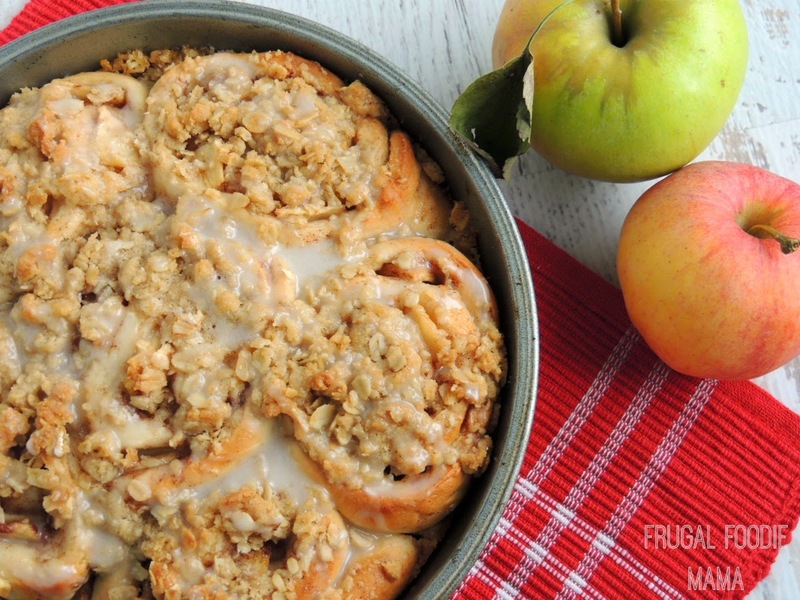 Whether you serve these for a weekend or holiday morning brunch, with some afternoon coffee, or topped with ice cream for an evening dessert, these Apple Crisp Sweet Rolls are sure to be a crowd pleaser. 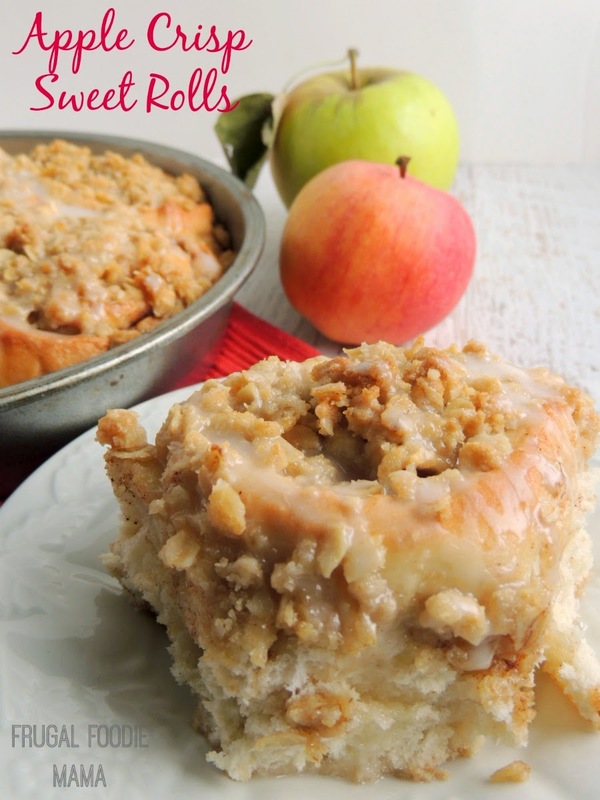 In fact, you just might want to go ahead and double the recipe and make two dozen of these babies. ;) They go fast, folks.